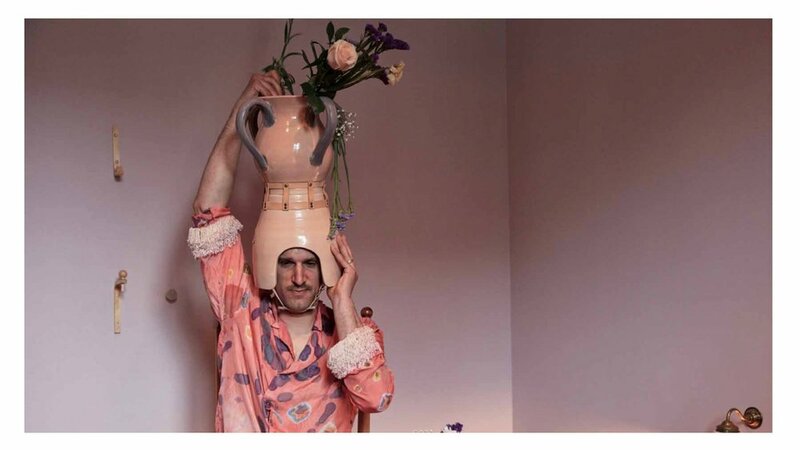 The Venice Biennale, Luxembourg representative--Artist, Mike Bourscheid-- needed a vase/helmet as one of the components for his opening night performance "Thank you so much for the flowers". 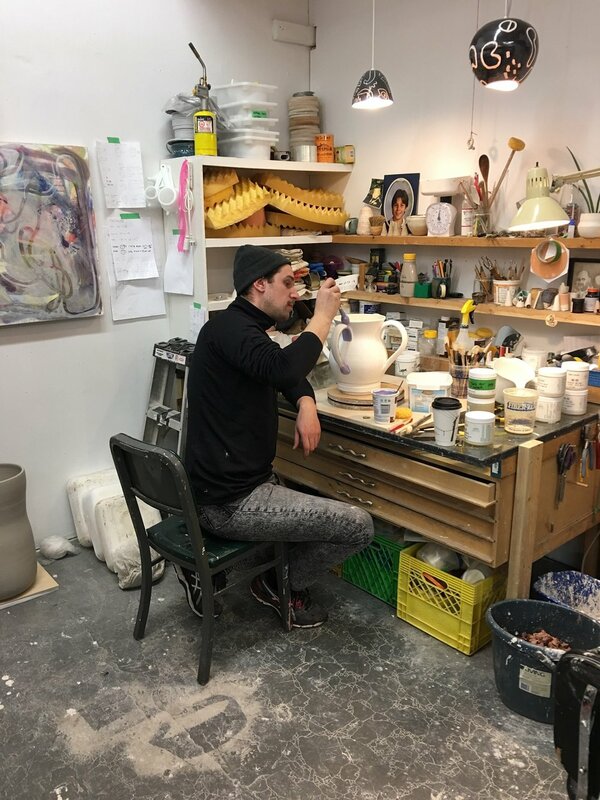 Although his plan had been to make the vase himself, after a time of throwing and glazing the rest of the vases for his project he found the large size was a bit tricky. So he asked me if I could try it out. . . . and he needed it in 2 weeks to make the shipping deadline. Ha! 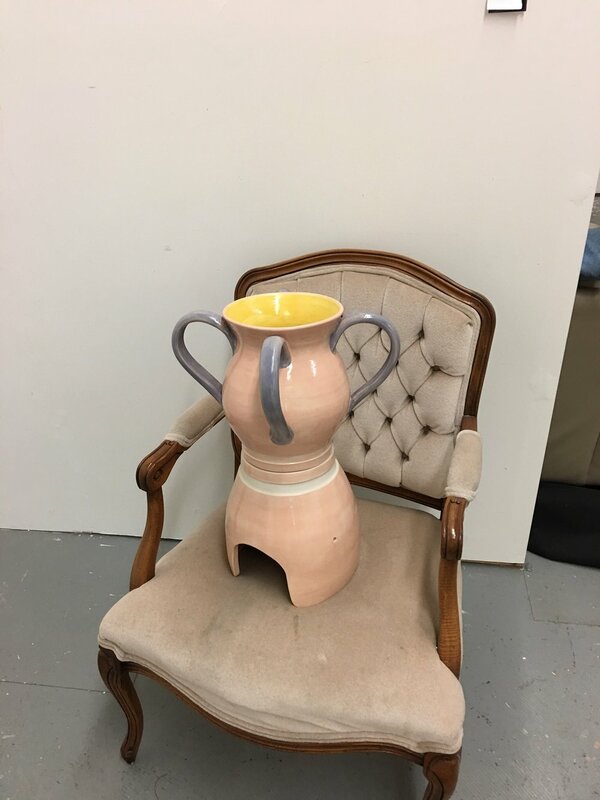 Here we have the two part vase/helmet in use. Thanks for including me in this great project Mike! Two sections. 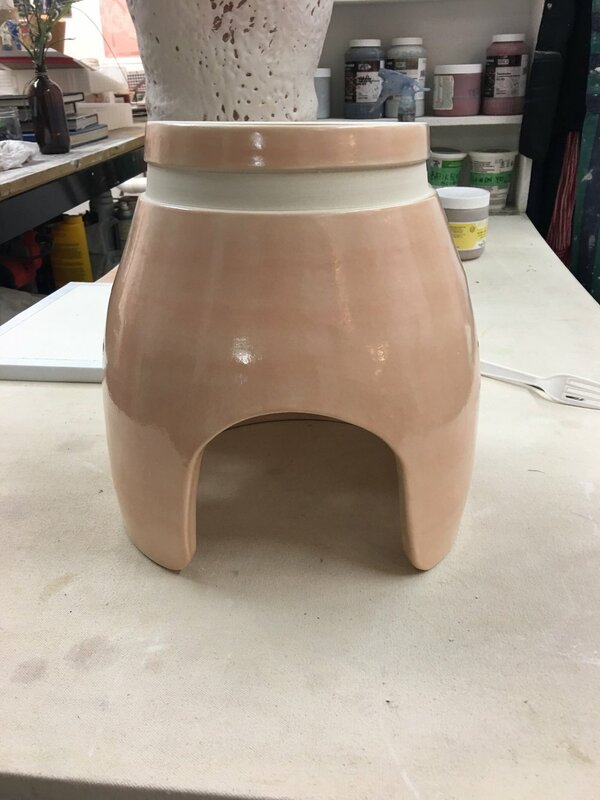 The combined height for the entire vase is 24"
Finished, but still missing the leather strapping meant to hold the two halves together.